Updates to Kathy G's profile since your last visit are highlighted in yellow. immediately after high school went to work at Commercial Bank and Trust 12 years! went back to school got my nursing degree. I worked at MRMC until August of this year. I am currently employeed at Muskogee Community Hospital - the new exciting Healthcare Faciltiy in town! I am the Manager of Perioperative Services. I was very shy during my high school years! NO ONE THAT KNOWS ME NOW WOULD EVER BELIEVE THIS! I was a good girl, except for the occassional skipping......with a few close friends. Kathy G Young Lawrence has a birthday today. 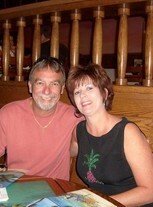 Kathy G Young Lawrence updated profile. View. Kathy G Young Lawrence changed profile picture. me and Jeff, my one and only! He is my heart. me and my husband Keith. He is my best friend! Me and Max! a very special guy in my life! My son Jeff and my Mother. My three precious guys! Max, Cooper and Eastan. Tiara the "other Queen" of the house.